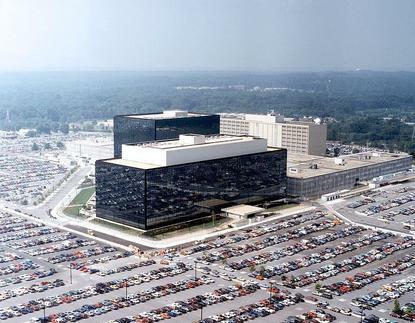 The former National Security Agency contractor suspected of stealing U.S. hacking tools allegedly was found hoarding two decades' worth of classified materials. In a Thursday court filing, federal investigators provided new details on their case against 51-year-old Harold Martin, who was arrested in late August. Investigators have seized 50 terabytes of information from Martin, in addition to thousands of pages of documents, the filing said. Among them are classified operational plans against a known enemy of the U.S that Martin had no need to know about. On Wednesday, The New York Times also reported that Martin was found in possession of NSA hacking tools that have recently been put up for sale online. An anonymous group of hackers calling themselves the Shadow Brokers have been trying to sell the tools since mid-August, but it's unclear how they obtained them. According to the court filing, investigators also found a document with handwritten notes describing the NSA's classified computer infrastructure and technical operations. Those notes appear to be written for an "audience outside of the Intelligence Community," the court filing said. Martin was previously employed at Booz Allen Hamilton, a firm that maintains NSA infrastructure, and he held a top security clearance. Initially, the U.S. Department of Justice said Martin had taken six classified documents produced in 2014. Thursday's court filing said he had a larger collection of documents dated from 1996 to 2016, many of which were marked with "secret" or "top secret." U.S. authorities are still reviewing the seized information, but they allege that Martin illegally held documents he had no need to see. "The case against the Defendant thus far is overwhelming," the filing said. In addition, Martin may have done little to securely store what he allegedly stole. "Many of the marked documents were lying openly in his home office or stored in the backseat and trunk of his vehicle," the filing said. Investigators didn't mention finding any direct evidence of Martin leaking the stolen materials to hackers or a foreign government. But the court filing said he easily could have transferred the information over the internet and concealed his online communications. Attorneys for Martin have rejected the allegations that he betrayed the U.S.
People who know Martin have said he is deeply patriotic and do not believe he would have given the classified information to another country, according to The New York Times. Martin previously served in the U.S. Navy. However, federal prosecutors want Martin to remain behind bars for fear he could leak the stolen information. "It is readily apparent to every foreign counterintelligence professional and nongovernmental actor that the Defendant has access to highly classified information," the filing said.